Real estate agents think that the Waymo driverless service in Phoenix may help open new markets to buyers, attract more retirees to the area and give agents a much-needed chauffeur. Phoenix has been the center of real estate innovation over the years, the home of 100 percent commission brokerages such as HomeSmart and My Home Group, so it’s no surprise that Google spinoff Waymo has chosen parts of the greater metropolitan area of Phoenix to trial its first fully driverless cars. Over the “next few months”, according to Waymo, residents of Phoenix and nearby areas of Chandler, Tempe, Mesa, and Gilbert who have enrolled in Waymo’s “early rider” testing program online will be able to take the company’s fully self-driving Chrysler Pacifica minivans to their destinations. Phoenix’s well kept, grid-like roads and the state’s friendly regulatory system have made it a natural place for this experiment to happen. The news follows a years-long period where Waymo tested the self-driving concept with an emergency human driver still on board. But now that Waymo is moving fully driverless, the local real estate industry is gearing up for change—for the better. One of the first in line to apply is Keller Williams’ Kevin Kauffman, co-founder of successful Arizona team, Group 46:10. 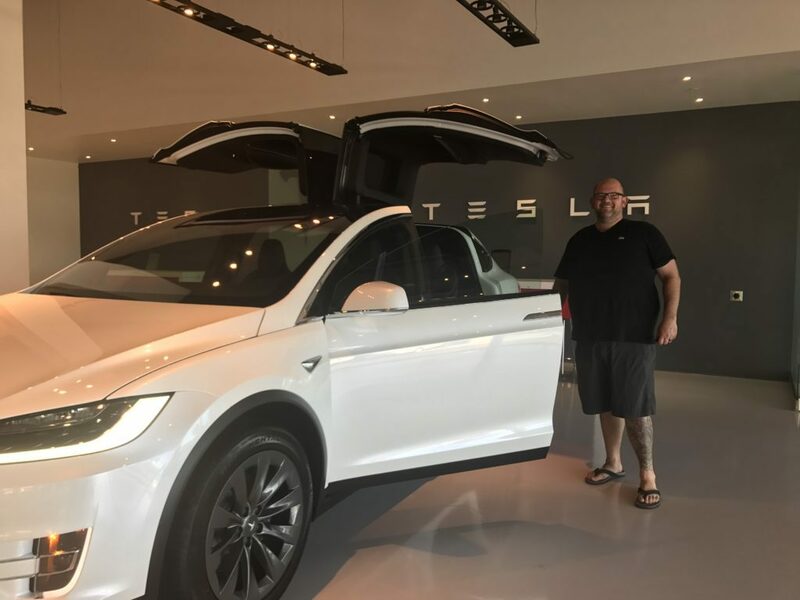 Kauffman, who currently drives a Tesla, not because he is a car junkie, but because he is a techie, said he is hoping to trial a Waymo minivan as the main family car. The father of young children who uses Tesla’s quasi self-driving “autopilot” feature pretty regularly when driving around greater Phoenix, said that one consequence of this innovation might well be that cars will be more a subscription service rather than something you own. And this will have implications for real estate. “Homes may not need garages any more, which will open a whole new world of garage conversions,” he said. Kauffman also sees the service attracting more older people to the already retirement- friendly city. His mother, who currently lives in North California for one. He also sees suburbs on the outskirts of Phoenix benefiting from the driverless technology. Phoenix has a very spread out metropolitan area with a lot of room to grow, and the self-driving trend will help it, said Kauffman. Gilbert agent, Stephanie Dow of Dow Realty agreed. She said she could see the innovation providing buyers with more choice when shopping for a new home. They will no longer need to rely on areas with good public transport. “It will change where can buyers can live especially those who are older and are no longer driving. They will not be stuck on a specific area,” she said. HomeSmart founder, Matt Widdows meanwhile, said it would come in handy when showing homes to a client. “I could see where it would be cool to pre-program a route to show homes to a client and then have the ability to sit there and review them as the car automatically took you to each home via a designated route,” he said. The agent’s ability to do this would add a “next level of service, that we as agents can provide,” added Wendy Forsythe, HomeSmart’s COO. And as the self-driving trend expands elsewhere, agents being driven around with their clients can emulate the glamorous real estate agents on TV shows who are chauffeured around, she added. Forsythe encourages agents to be early adopters to make this kind of thing happen. “Let’s do it, let’s make it more accessible,” she said. What will cities look like in the post-self-driving-car era? The American city was built for cars -- what will happen when they all leave?